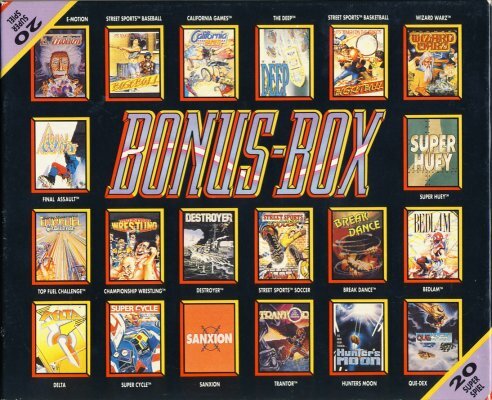 The computer games collection Bonus-Box was published under the label Kixx from the company U.S. Gold in 199? on diskette. The sales price at that time was about ?? DM. The games are placed on 10 disks. Besides the disks there is also an instruction booklet in the pack. This page was last modified on 7 February 2010, at 12:56.